There are so many people out there working on the problems of over consumption, pollution, and plastic. I want to start highlighting businesses that are taking some aspect of this on, and who I think might be really helpful for all of you. Just as a disclaimer, I did chat with this company about writing about them. They approached me (I actually already had checked out their site) and offered me a discount, but I didn't actually use it. This isn't a sponsored post, I really believe in what they do. Even if you want to get all plastic out of your life, it can be near impossible to do so. One of the biggest plastics that can be hard to avoid (they come over and over again in my plastic-free support groups) is the bottle- the bottle of dishwashing liquid or shampoo. I love the bar of soap (I am fighting for it to regain its former glory), but that doesn't solve every problem. Some people find other solutions (making their own, going "no poo," etc) but if it is too far out there from what most people are comfortable with, it makes the eco-friendly choice hard to sustain. Kind of like a diet, you want to make choices you can keep on with, not some dramatic fix that you will break in a week. I used to think the solution was pressuring all liquid soap and body product companies to accept their bottles back and reuse them, but even that is only a temporary fix. So how can you keep your house and your hair clean without adding a bunch of plastic bottles to the ever growing mountains taking over our Earth? The Refill Revolution is one of my new favorite sites because they have figured out a GENIUS zero-waste solution where you can keep your liquid habits without making any new waste. First, you get a container. They sell containers on the site or you could even start by reusing containers you already have. Second, you order what you need- they have bulk refills for shampoo, conditioner, body wash, dish gel, cleaners, and more! Then, they send you (or you can pick up if you live in certain areas of Colorado) a pouch of the soap you ordered. You can fill your containers. And then you send the pouch back. So you got the product you wanted without any of the packaging! Then, you can just keep ordering and returning these pouches. The first time you do it, that is one bottle out of landfills. Awesome. But if you buy shampoo four times a year, after 5 years you have kept 20 plastic bottles out of the landfill. Zero-waste and absolutely genius. I love this idea so much, and I think it could be a perfect solution for some of you out there that have told me they want to keep plastic out, but you hate bar soap, or you don't have time to make your own, or you just like to fill your dishwasher and go. We all have to pick our battles, but this is a low-cost and low-waste way to have your cake and eat it too (if you want to see zero-waste, watch me with a cake). Would you ever try something like this? Let me know in the comments! Doesn't sound like it would work for you? Already have this problem solved? I still think this is a site worth browsing, because they have tons of great environmentally-thoughtful solutions from dryer balls to cloth napkins. They even have a stainless steel ice cube tray, which I can not justify buying, but I wish I could. If my heart was a shop on the internet, it would be this one. For me, two of the plastics we can't seem to quit are plastic wrap and dental floss, so I loved finding options on their site. 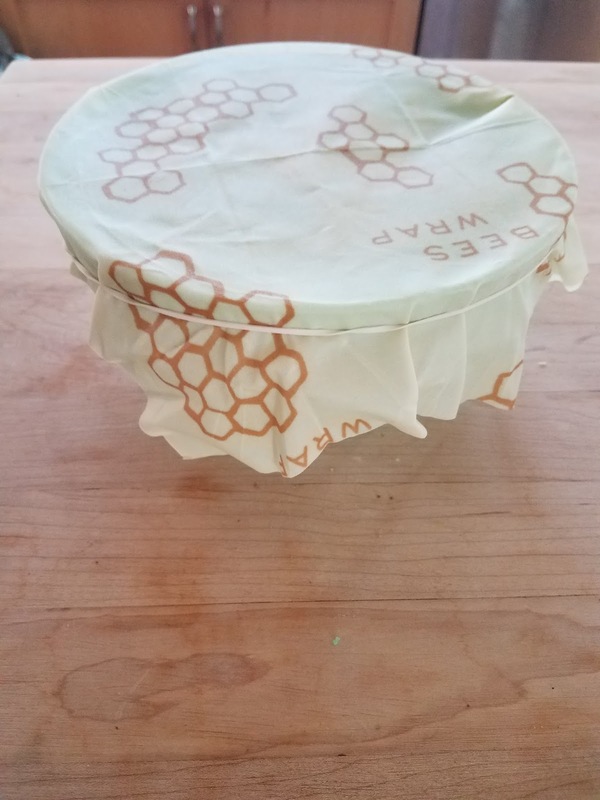 We are finally using the bee's wrap to cover our half melons (this is a daily thing for us) and I am pretty into the biodegradable floss too. Why isn't all floss biodegradable? There are more things on this shop that I am totally going to buy once my current one runs out. I keep dreaming about getting a safety razor, but The Boy has got me convinced that it doesn't fit my skill set (careful, methodical precision is not my game). I also think all sorts of things on here are stylish and well-designed enough to make great gifts as well. So, we love this Colorado-based store, and we are so excited that someone thought of such a brilliant solution. Check them out!